Recently I saw a recipe similar to this one on Facebook which someone had posted. With a few changes I have come up with my own version of the recipe. This is so easy to make, ten minutes to whip it up, really. 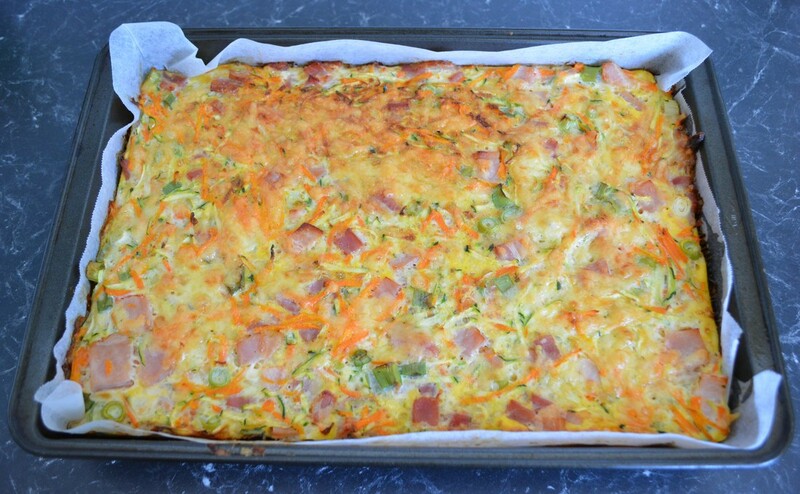 It bakes for about 30 minutes and you get a super tasty, super easy, after school snack, an alternative to sandwiches in the lunch box, or a light dinner. My husband and my three kids loved it, it was gone so quickly. 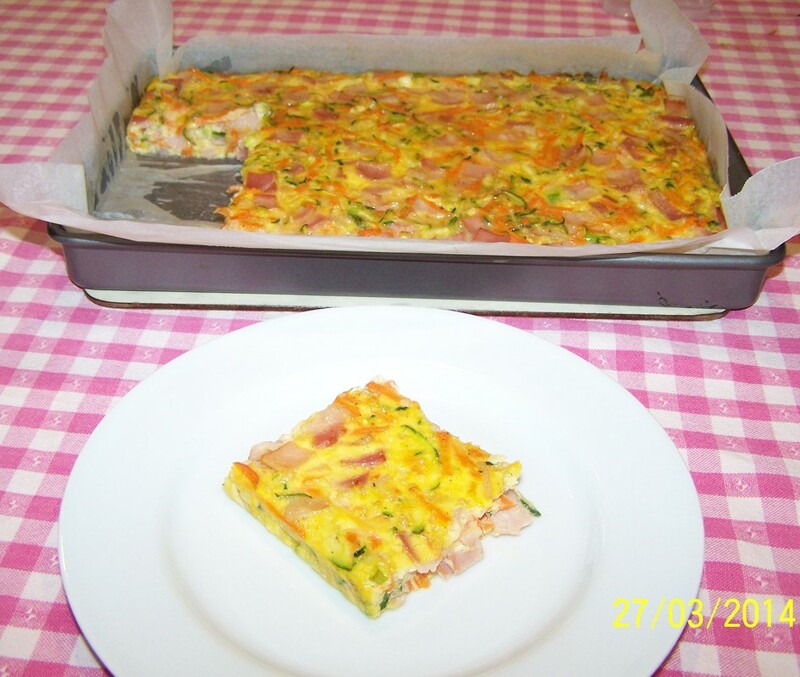 I loved it to, even though I don't particularly like carrots, I probably like my zucchini slice a tad better, as it doesn't have carrots, but I have to say the carrots are not the dominant flavour here, so they don't really bother me. This one is great and it is gluten free. Just make sure you buy a bacon brand that is gluten free though, which is easy to find in supermarkets today. 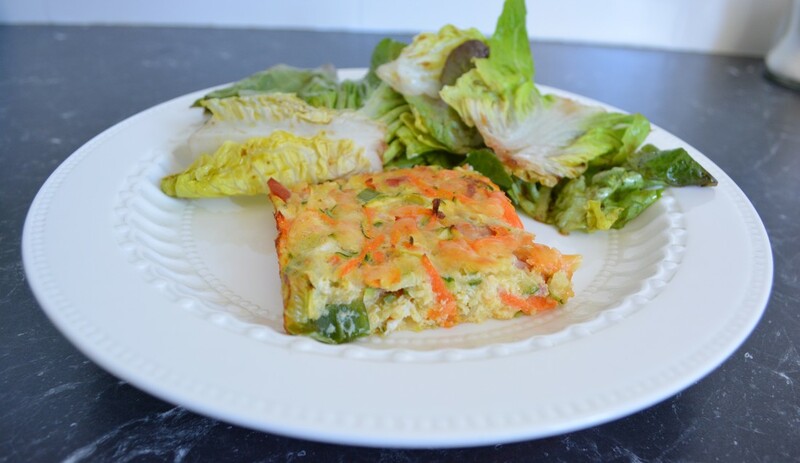 This is also great when you get home from being out all day, the kids are hungry, you can make it quick and the kids are fed a nutritious meal that is easy to throw together. This is definitely a recipe that will be repeated again and again in my house. Preheat oven to 180C/160C fan forced. Grease and line with baking paper a 20cm x 30cm baking tin. 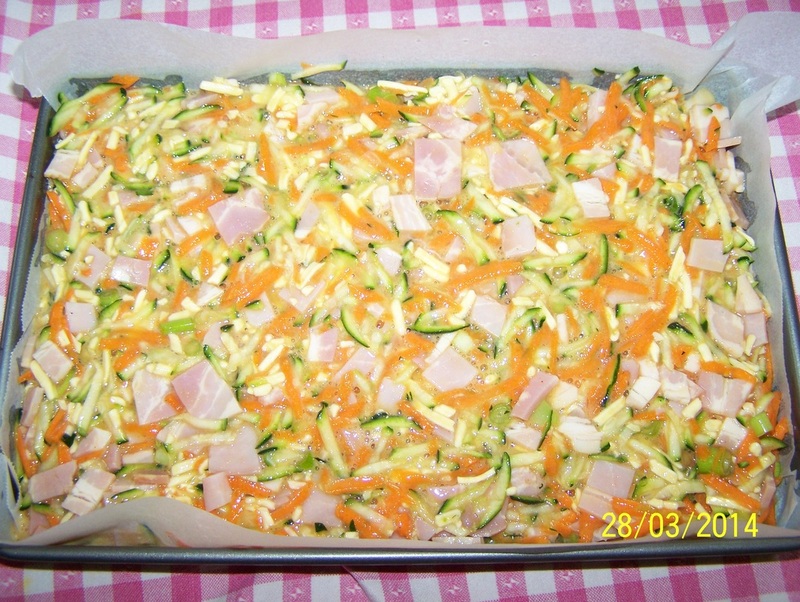 In a large bowl add the bacon, zucchini, carrot, shallots and cheese. Season with salt and pepper. In small bowl whisk the eggs with the baking powder. Season with salt and pepper. 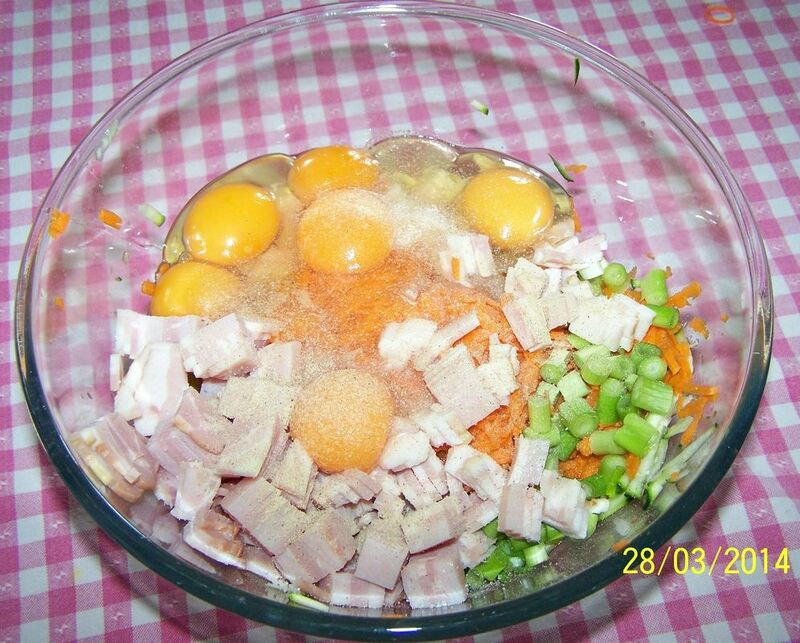 Pour the eggs over the bacon mixture, stir well to combine. You don't even need to whisk the eggs and baking powder if you are short on time. Pour the bacon mixture into your prepared tin. ​Bake for 30 minutes or until it has set in the centre and has browned on top. ​Serve hot or cold with a green salad.